Home > Blog > Digital > Who Moved My Keywords?! I logged in to our Google AdWords account one day to find that my keywords were no longer where I expected them to be. 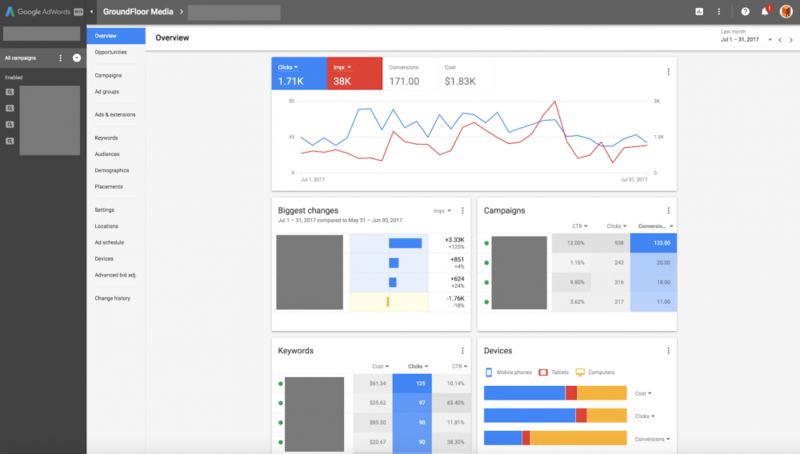 Apparently, some of our pay-per-click (PPC) ad accounts had magically been migrated over to the shiny new AdWords interface that has been rolling out over this past year. Frustrated, I found myself looking for the hidden exit door that would transport me back to the safety and comfort of the old, familiar interface with which I’d become intimately acquainted over the years. I actually had to pause for a moment and talk myself down. Is change really so bad? Might I (gasp!) actually like the new platform? Find value in its new functionality? Experience improved efficiency? Learn something new? Or maybe even remind myself of the value in adapting to change in life in general? This new look and feel is taking some getting used to. And I admit that there have been a handful of times when I have jumped back over to the old interface to check off a quick hit on my list of to-dos in the name of efficiency or to complete a task not yet available in the new interface. But by and large, despite the ability to revert back, I’m trying hard to push through the uncomfortableness that comes with change and just roll with it, recognizing that change can very well be a good thing. So, if you’re feeling a bit curious about what’s on the other side, don’t be afraid to click that little “Try the New AdWords” button at the bottom of your screen. You might just find that you like it (and you can still find your way back if you don’t – at least for now).